Jill Norgren writes: Tell-all autobiography has the ability to be “satisfyingly scandalous,” with remembrances of friends, colleagues, and lovers “somewhere between mash note and carpet-bombing.” In her years with The New Yorker, she went, she saw, she conquered…and was conquered. Jane Shortall writes about London: "Nattily dressed and high heeled women, some looking marvellously Botoxxed, came out of the restaurant, chatting loudly and gathered at a table in the alfresco dining area. They carried small glasses of chilled white wine, lit up cigarettes with pricey lighters and blew smoke in the air, tossing their expensive coiffed hair." 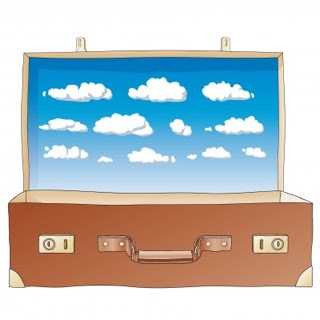 Elaine Soloway writes: My suitcase lies open and empty on the bed in our spare bedroom. Clothing, all black, to make wardrobe accessories easier, are in small stacks surrounding the bag. But, the three-times-a-year family destination timetable, and my husband’s voiced responses to any trips, dissolved after his condition worsened. Today, Tommy can barely get a word out, communicating with clues written on post-it notes. 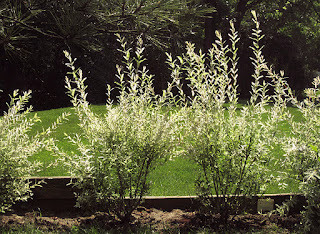 Ferida Wolff writes: "In browsing the nurseries last year, we came upon the Dappled Willow and immediately fell in love. The white foliage with pinkish tips had an exuberant appeal. These willows are still young but, like toddlers, they already show their potential. They will fill out and grow and, I imagine, charm us as they do so." Jean Pond wrote in 2006: It was a heady feeling passing rolls and making small talk with a man who has had a crater in the moon named by the astronauts Dandelion after his story Dandelion Wine. So what if he’s never driven a car or operated a computer. He has five typewriters. The authorities didn’t understand the nature of the euro crisis; they thought it is a fiscal problem while it is more of a banking problem and a problem of competitiveness. And they applied the wrong remedy: you cannot reduce the debt burden by shrinking the economy, only by growing your way out of it. The Justice Department will monitor elections on June 5th in the following jurisdictions to ensure compliance with the Voting Rights Act of 1965 and other federal voting rights statutes: Alameda, Fresno and Riverside Counties, CA. ; Cibola and Sandoval Counties, NM; Shannon County, SD; and the city of Milwaukee. Complaints may be reported to the Voting Section of the Justice Department’s Civil Rights Division at 1-800-253-3931. 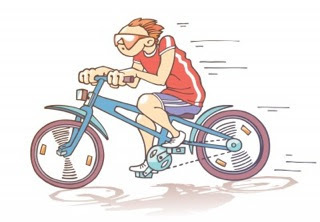 Julia Sneden writes: I’ve always contended that the very best of summer vacation comes before you’ve had a chance to squander even a minute of its glory. Coming home and — whether you were student or pupil — flopping on the sofa in a kind of mindless haze, or sitting on the porch with something cold and wet to drink, seems glorious. 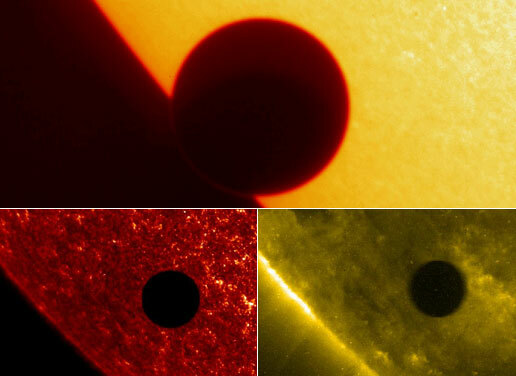 Agnes Mary Clerke wrote in 1885: "Throughout the twentieth century there will be no transit of Venus; but the astronomers of the twenty-first will only have to wait four years for the first of a June pair. The rarity of these events is due to the fact that the orbits of the earth and Venus do not lie in the same plane." Like smoke, this grief was intangible and invisible. Nonetheless, it was pervasive, sticking to the physicians’ clothes when they went home after work and slipping under the doors between patient rooms. Susan Samuels Drake writes: "I know the softer side of the woman. She’s the boss I'd go to some mornings before work. That was in 1973, when César, not with great wisdom, placed her as his Administrative Assistant (imagine that tigress caged behind a desk). Dolores’ tensions spilled over to me, at that time César’s secretary, who’d been running the office longer than she had." Roberta McReynolds writes: A sluggish metabolism and aging body have teamed up to make my commitment to lose weight a painfully slow process. The fact that my husband and I decided enough is enough at the same time has undoubtedly been the best avenue to success. We’ve teamed up and Mike has lost 27 pounds while I lost 23 this year. Kevin Starr writes: "In its final effect and meaning, however, the Bridge is more than the sum total of any of these. The Golden Gate Bridge embodies a beauty at once useful and transcendent. It emanates a music of mathematics and design and offers enduring proof that human beings can alter the planet with reverence, can mend or complete their environment for social purposes." Among this year's new participants are the American Civil War Center at in Richmond, VA; the New Mexico Museum of Space History; the Cleveland Botanical Garden in Cleveland, Ohio; the Children's Creativity Museum in San Francisco, CA; the Menil Collection in Houston, TX; and the World Figure Skating Museum & Hall of Fame in Colorado Springs, CO.
Ross Eisenbrey writes: More than a million college students work as interns during the summer or a school year. Where is the data on the impact of internships, paid or unpaid, on labor markets, wages and employment prospects of young people? But consider an internship with Congressman Paul Ryan. Doris O'Brien writes: The whole world seems fixated on keeping in touch with everyone other than those who are with them. Yesterday I observed a couple seated at a table at a pleasant outdoor café, perhaps to enjoy an early dinner together. It could have been a time for hand-holding or sharing the details of one another’s day. Instead, both were staring into their own latest-technology iphones, their minds elsewhere rather than on each other. Nearly everyone is familar with John James Audubon and his seminal color-plate book, The Birds of America. But few people are aware of another monumental 19th c. volume of artwork, Illustrations of the Nests and Eggs of Birds of Ohio. Nearly three-quarters of sick Americans say they want their doctor to spend time with them discussing other, broader health issues that might affect their long-term health (72%), as opposed to just talking about their specific medical problem (21%). 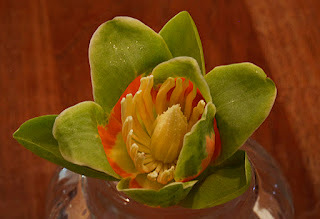 Ferida Wolff writes: "We have a Tulip Tree in our backyard. I remember being excited when we got it as a young seedling because we were told it would grow fast. We were delighted with the rapid growth idea. Several years later and forty feet higher, the Tulip Tree is a mainstay of the yard." From idyllic rural landscapes to gritty cities, the exhibition will showcase a literary map of the British Isles and highlight how writers, from William Shakespeare and Walter Scott to John Lennon and J K Rowling, have recorded the changing spaces of the British Isles in some of their greatest literary works. Baby boomers are five times more likely than other American adults to be infected with the disease. In fact, more than 75 percent of American adults with hepatitis C are baby boomers. Sarah A. Leavitt writes: The most fun shopping trip of the year occurred when the NBM's exhibitions staff went to Frederick, Maryland's antique stores. We agreed on the beautiful wicker chair but were less sure when deciding among various sets of kitchen containers and vessels. Did the other set have a more unusual pattern? We already had a Hamburglar juice glass, but what about a Kentucky Derby collectible glass?